August 28, 6pm at the Incubator: Cecil McDonald, Jr. 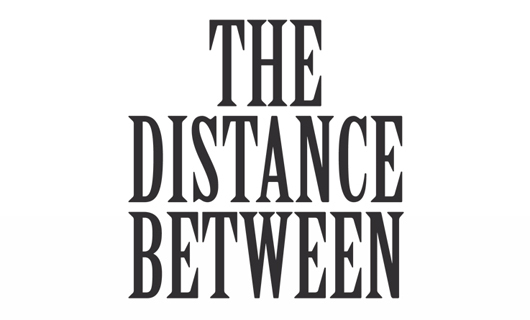 The Distance Between is a culminating exhibition showcasing the work of the five artists selected as the Arts + Public Life/Center for the Study of Race Politics & Culture 2012/2013 artists-in-residence. The program awards ten-month residencies to outstanding Chicago-based artists who have an expanded social practice that engages issues of race, politics and culture. Their physical studios are at the Arts Incubator in Washington Park at 301 E Garfield Boulevard, and they have access to University of Chicago resources, such as the production facilities of the Reva and David Logan Center for the Arts at 915 East 60th Street. Looking at a map of the South Side these days, one might notice these two new cultural venues lying in close proximity. They are a mere six-minute drive, or two Green Line stops apart. Between them stretches the southern half of Washington Park, which can be crossed by foot in a myriad ways in less than half an hour. Yet the day-to-day experience of these artists (and the curators working with them) is that the distance between these two sites of artistic activity is not so simply defined. The Western edge of Washington Park (at the Garfield stop of the Green Line, directly opposite of the Arts Incubator) and the Southwestern edge of the University of Chicago campus (which is home to the Logan Center) may be close on the map; but in terms of demographics and urban texture they are often seen as worlds apart. Indeed many people residing or working in the vicinity of one of the two institutions may have never made the short trip to see the other building. The park stretching between the two spaces is, to many, a realm of leisure and pleasure, yet to many others, a no-go zone. Between these two extremes a myriad spatial possibilities are often overlooked. The artists who have spent the last ten months in residence include visual artists (Cecil McDonald, Jr. and Cauleen Smith), musicians (LeRoy Bach and Tomeka Reid) and the multidisciplinary poet, artist and educator avery r. young. They have made it their daily practice to move between their two production spaces and to explore the surrounding areas – listening to the street and the diverse flora and fauna of Washington Park; collaborating with neighbors; depicting their surroundings; and envisioning alternative value systems. This two-venue exhibition marks a culmination of their efforts, with works installed so as to invite visitors to linger, look and listen at each exhibition site; but also to travel the distance between the two venues. These works include a range of pictorial approaches, listening stations, space stations, assemblages, collaborations, and several improvised performances – creating an ambiance that willfully bends the demographic charts and finds luxury where loss and paranoia persist. At stake here is the very perception of space – urban, pastoral, domestic, social and artistic – as both a physical phenomena and a psychological construct. While these artists do not shy away from the fraught questions of race and class, which impact the perceptions of this particular segment of the map (and, it may be argued, the broader stretches of Chicago’s South Side and areas like it around the country or even around the world) – far from it – they ultimately aim to invent new terms of engagement. Musician and composer LeRoy Bach has been fostering musical collaborations and musical gatherings in Chicago for over twenty-five years. He led the monthly gathering, Low Tide Dance. He maintains collaborations with poet Marvin Tate, musicians Bill MacKay and Tim Kinsella, and writer avery r young. For the past five years Bach has performed with the Black Monks of Mississippi. Bach is a former resident at the Headlands Center for the Arts. He has scored live musical accompaniment for film documents presented by the Chicago Film Archives. Bach has also worked with Rob Mazurek, Wilco, 5ive Style, among others. Tomeka Reid is a Chicago-based cellist, composer, and educator. She is a 2012/13 Arts + Public Life/Center for the Study of Race, Politics and Culture Artist in Residence and Founder of the Chicago Jazz String Summit. Reid has led string improvisation workshops in Italy and the US, and co-directed the string program at the University of Chicago’s Laboratory School from 2005 to 2011. Most recently she directed the 2013 Vancouver Jazz Festival’s High School Jazz Intensive. Recent commissions include compositions for the Association for the Advancement of Creative Musicians and the Chicago Jazz Ensemble with performances at the Chicago Jazz Festival as well as opportunities abroad at festivals such as Umbria Jazz, An Insolent Noise, and Vignola Jazz. Previous residency opportunities include the Ragdale Foundation and the 2nd Annual Make Jazz Fellowship hosted by the 18th Street Arts Organization. She was selected as a 2012 participant in the Jazz Composers Orchestra Institute held at the University of California Los Angeles. Reid is also an ABD doctoral candidate at the University of Illinois: Urbana-Champaign. Cauleen Smith received her B.A. from the School of Creative Arts at San Francisco State University and her M.F.A. from UCLA School of Theater-Television-Film. For the past several years Cauleen Smith has produced multi-channel film, video installations, and live events that incorporate sculptural objects, music and text. Her interests roam from her roots in structuralist filmmaking to afro-futurist narrative strategies. In 2012 Cauleen Smith was named Outstanding Artist by the National Alliance for Media Arts and Culture. She has received grants from the Film Arts Foundation American Film Institute, Rockefeller Foundation, and Creative Capital. Her films and installations have shown at The Kitchen, Yerba Buena Center for the Arts, Los Angeles County Museum of Art, Museum of Contemporary Art, Los Angeles, Nelson Atkins Museum of Art as well as in film festivals in Los Angeles, Milan, Park City, London, New York, Lagos, Paris, Oakland, Berlin, and Austin.